8.30pm THE BEACON Courtesy of The National Trust come along and join in with the bonfire and barbecue. 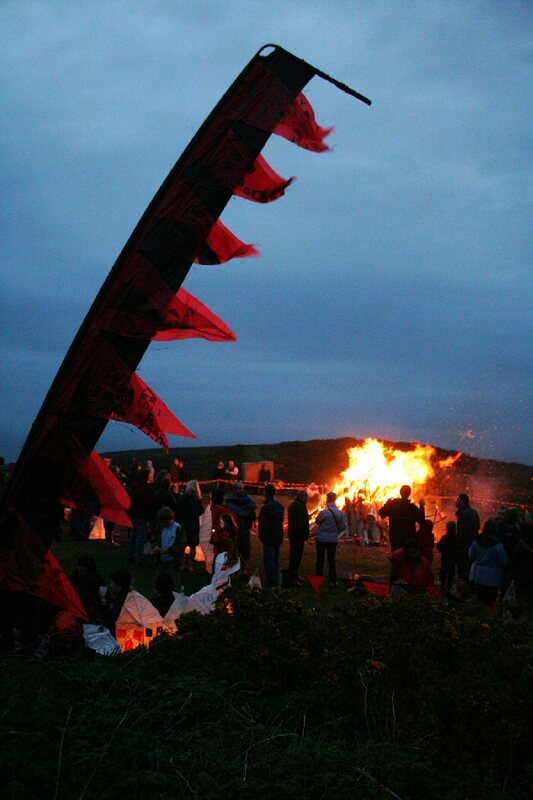 The bonfire is symboic, as it is used to fire clay houses that have been made by local children, and are then used in the pageant to represent the village of St Agnes. 12.30pm THE RAILWAY INN Street Theatre and The Bolster Drum Band. 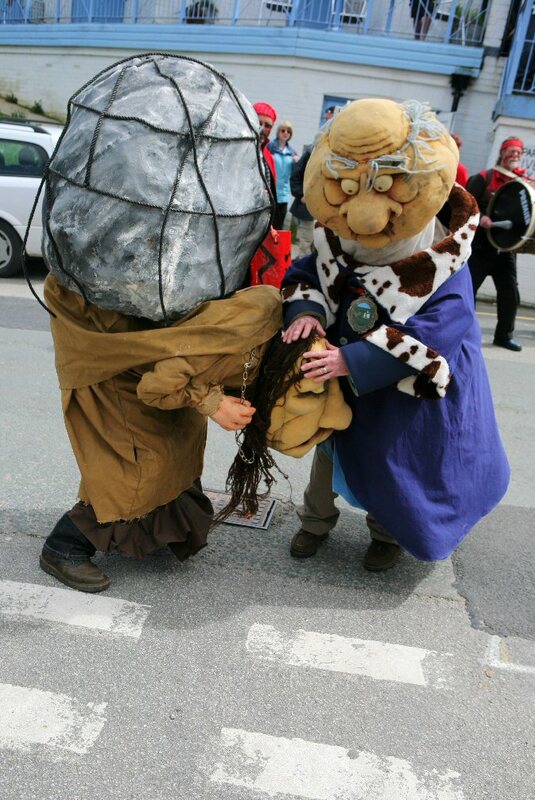 Starting at the railway and then processing through the streets, pausing outside each of the village pubs, The Bolster Band lead life size puppets in their search for the Giant Bolster. 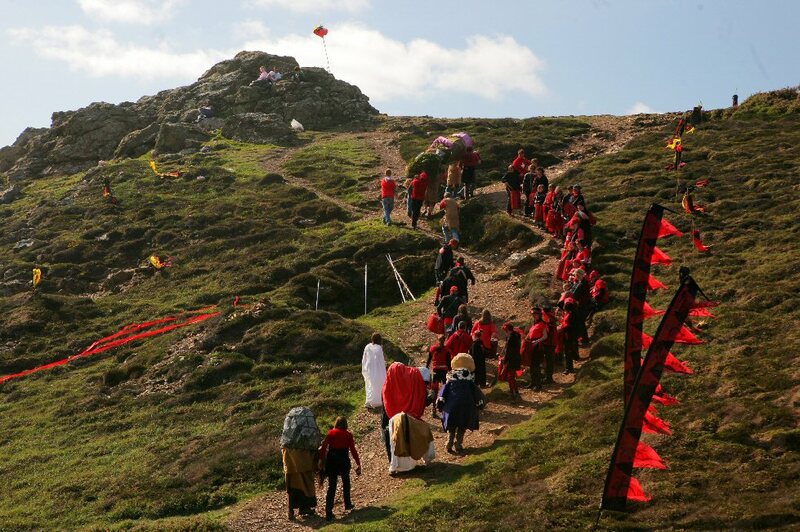 4.00pm CHAPEL PORTH Watch the Bolster Pageant. All are welcome to watch this stunning pageant which re enacts the legend of the Giant Bolster and his demise at the hands of the fair St Agnes. There will be music on the cliffs as you arrive, and later in the car park. Robin’s infamous cafe will be open. There is no admission charge for any of the weekend’s happenings but your donations are gratefully received.